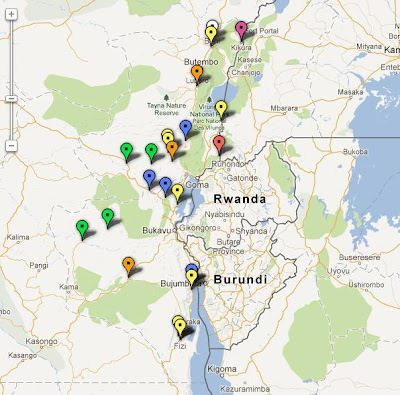 Jeune Afrique is out today with an interactive, expandable map of other armed groups operating in eastern DRC. It was created by Kisangani journalist Trésor Kibangula, and based on a study of armed groups conducted in 2010--so it's already somewhat dated. It's still a great piece of work and an excellent example of what can be done. Now we just need someone prominent who can raise this sort of mapping project up a notch or three. Nudge, hint, Affleck.